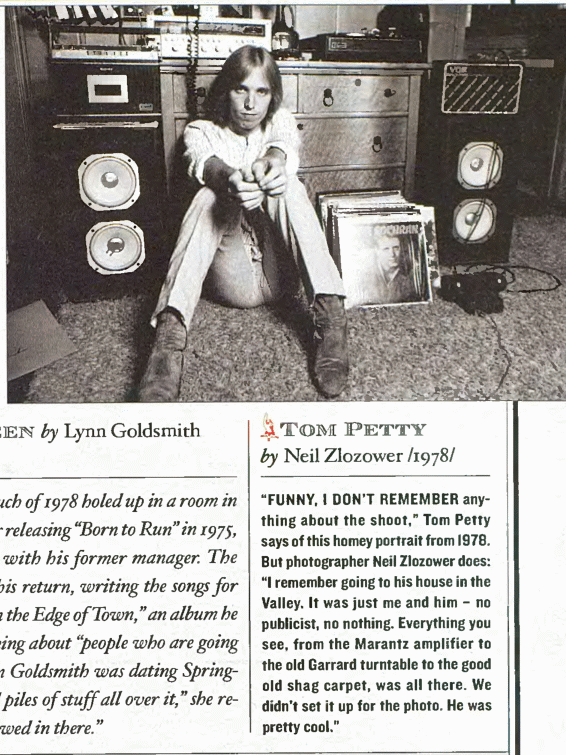 "Funny, I don't remember anything about the shoot," Tom Petty says of this homey portrait from 1978. 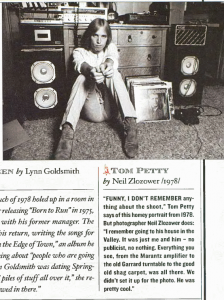 But photographer Neil Zlozower does: "I remember going to his house in the Valley. It was just me and him -- no publicist, no nothing. Everything you see, from the Marantz amplifier to the old Garrad turntable to the good old shag carpet, was all there. We didn't set it up for the photo. He was pretty cool."